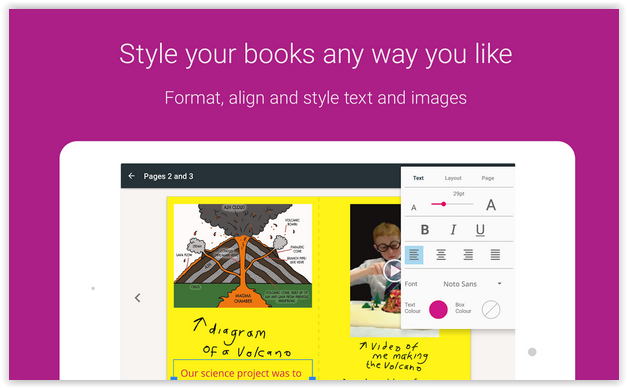 Book creator allows you to make your own e-Book . 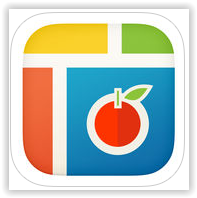 You can add text, pictures or even video! One great feature is to add a hotspot and them attach a sound file so when you tap the hotspot the sound plays. 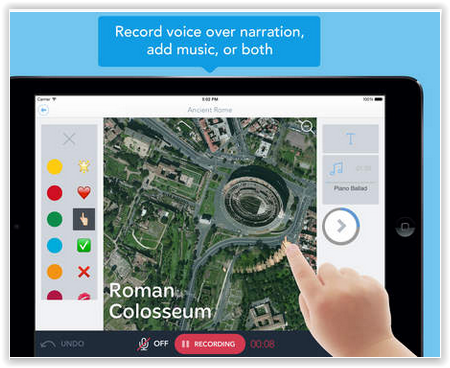 You can record the sound using the built in mic on your iPad or Android Tablet. Lights, Camera, Play! 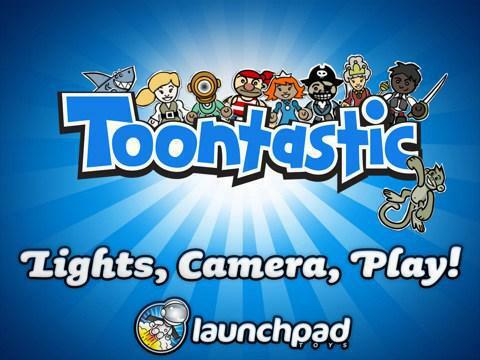 Toontastic is a Creative Learning tool that empowers kids to draw, animate, and share their own cartoons through imaginative play. Making cartoons with Toontastic is as easy as putting on a puppet show – simply press the record button, move your characters onscreen, and tell your stories through play! 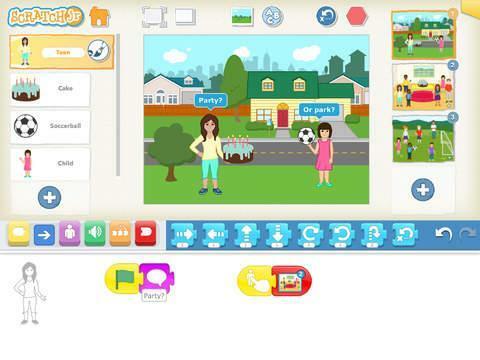 You can even create your own characters using the built in drawing tool. This app is simply Amazing! Pic Collage is so useful for laying out pictures and text. 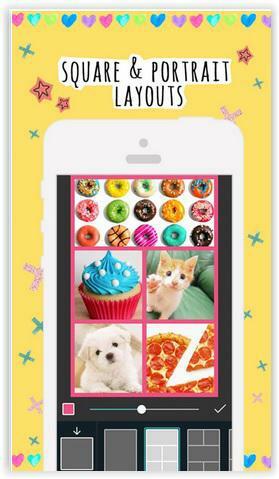 It also has a built in image search and stickers. 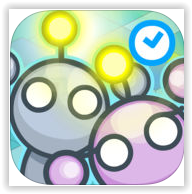 In addition to its funky built in backgrounds there are pretty stickers to use which are updated regularly to keep your collages fresh. Be sure to install the Kids version as it has no advertising. 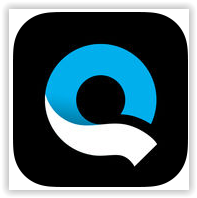 This app will take your video footage and magically create a top quality edit complete with music. You can optionally customise the edit by adding your own titles and music . 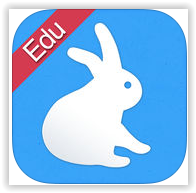 However the built in choices are excellent and if you want an edit quickly then this app cannot be beaten. 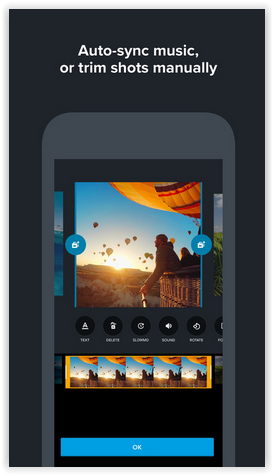 This app will help you create a video presentation by adding pictures to slides. You can then record your own voiceover. This can be used to show your understanding of a topic by presenting your research. Whilst talking you can highlight by tapping areas of the side. 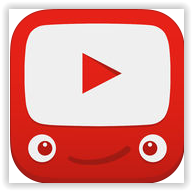 This is a child friendly version of the familiar YouTube app. 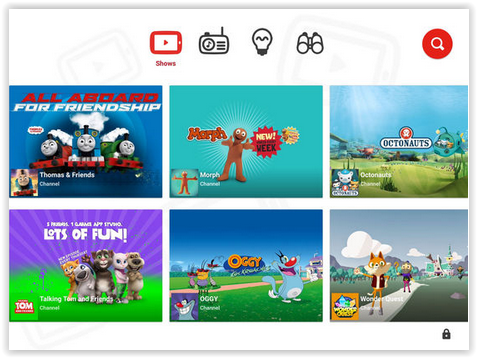 It filters the videos you can see based on age and you can set parental controls in the app such as disabling the search function and setting a timer so your child can only use the app for a set time. The controlas are simplified for ease of use by a young child. 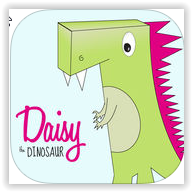 Daisy the Dinosaur introduces simple coding to young children in a fun way. 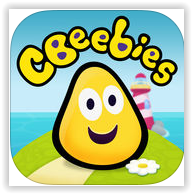 It leads children through stage by stage and as they progress through the levels the challenges get progressively harder. Lots of Educational games here from the BBC. 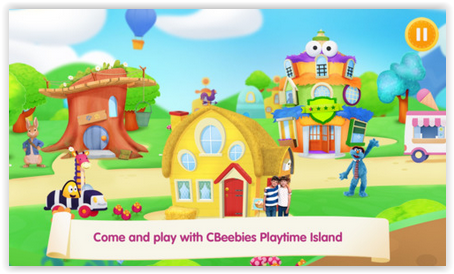 You will be able to spot many of your favourite Cbeebies characters too. Completely safe with no adverts. 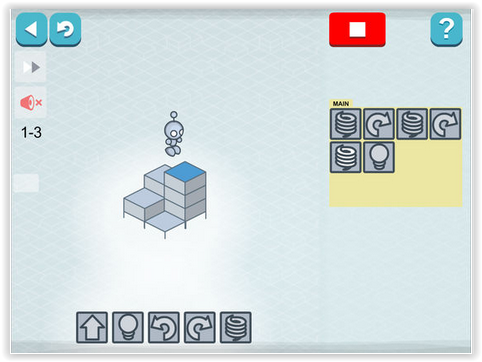 This game walks the player through 20 levels of mazes that you must navigate the robot around by issuing commands in the correct order. 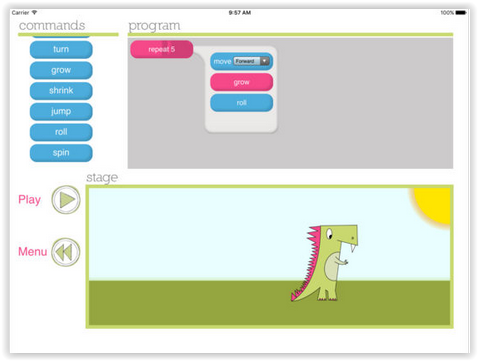 Teaches children coding without them realising.